There’s no heart in the world that hasn’t been touched by the magic of Disney. Disney On Ice productions bring all your childhood memories flooding back, with the fresh new experience of seeing your favorite characters glide and spin across the ice before your eyes! The dazzling series now brings you their latest production: Follow Your Heart, starring Dory the blue tang fish! Tickets are limited so book early for the best odds of getting your favorite seat. 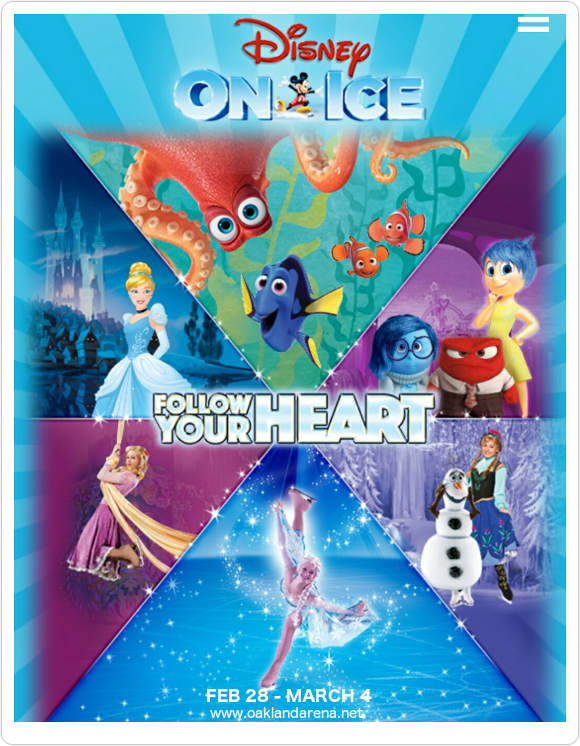 In addition to the many underwater-themed tales of friendship and self-discovery, Follow Your Heart features characters such as Toy Story’s Woody, Buzz and Jessie, Mickey and Minnie Mouse, and Joy, Sadness, Anger, Fear and Disgust from Inside Out in their very first Disney On Ice appearance! Grab those tickets early and get ready to relive the magic of Disney for yourself!